Just when I thought I couldn’t admire Serena Williams more than I already do, she went and proved me wrong. The tennis star and winner of 23 Grand Slam titles gave birth to her first child, Olympia, in September 2017 and has frequently spoken about life as a new mom — and she’s always refreshingly candid. It’s no surprise that her New Year’s Instagram post was no different. Williams wrote a message to working moms and dads, and it’s both comforting and inspirational. Williams went on to explain that she’s getting ready for her first match of the year — but when Olympia needed her, she got creative. “[M]y dear sweet baby @olympiaohanian was tired and sad and simply needed mama’s love. So if it means warming up and stretching while holding my baby that’s what #thismama will do,” Williams continued, and she included an adorable photo of herself warming up with little Olympia in her arms. She went on to address working moms and dads and made clear that stay-at-home parenting is just as “intense” as balancing a traditional job — and we love that she called this out, because stay-at-home parents frequently don’t get enough credit. Williams is an inspiration to many (*raises hand*), but she wrote that her fellow moms and dads are also an inspiration to her. 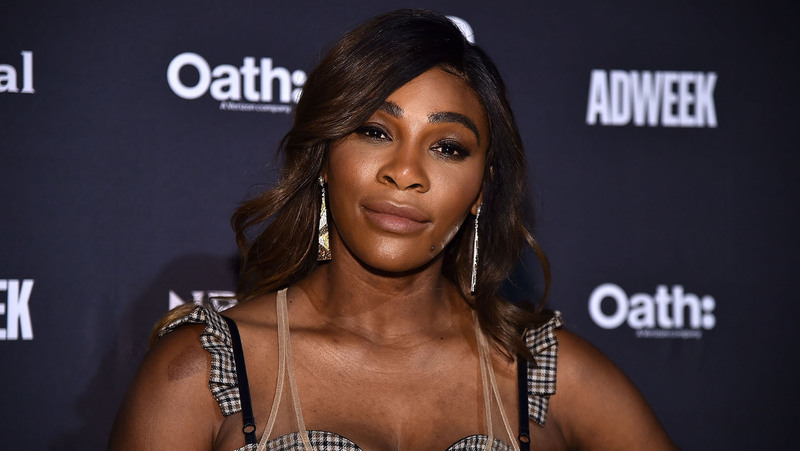 So give yourself a pat on the back, because Serena Williams thinks you’re amazing, and we can’t think of higher praise than that. Doesn’t this message just make you feel ready to conquer all the challenges ahead in 2019? Whenever the going gets tough, just remind yourself: Serena believes in you.